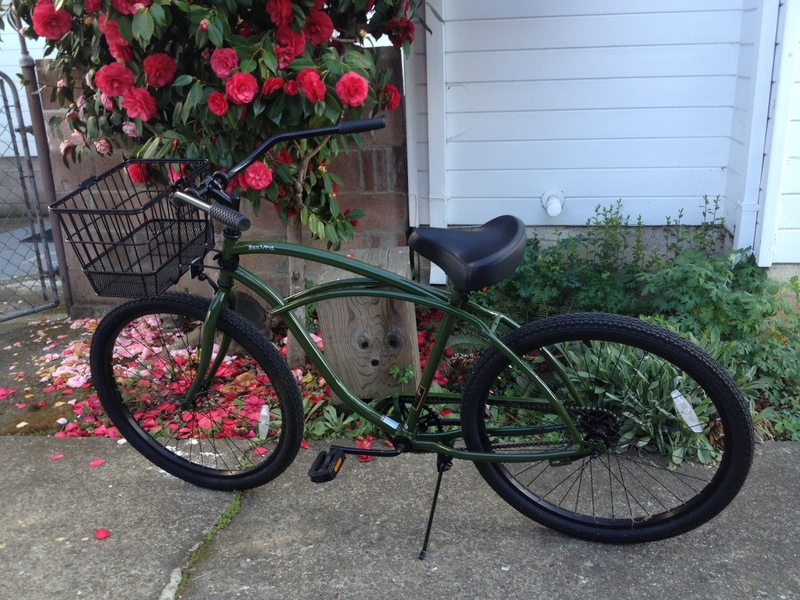 Meet my latest crush in a long string of Mendocino love affairs: a cruiser bike. I’ve had my eye on this model ever since I saw one at the Not So Simple Living Fair in Boonville last July. Dave’s Bike Shop had donated two of them for a raffle, and I was instantly jealous of the winners (having failed to buy a single raffle ticket, not yet realizing I longed for a bike). I haven’t owned or really ridden a bike in a decade, but Ukiah’s streets are both flat and generally void of traffic – my ideal riding conditions.